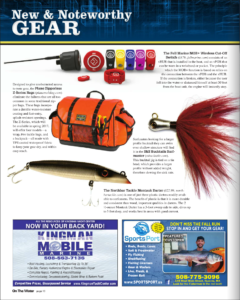 In the On The Water October 16 issue, MOB+ is featured as New & Noteworthy GEAR for all fishermen. Read about the MOB+ in Fishing Buddy.com - Fugawi is making this innovative product available in Canada! 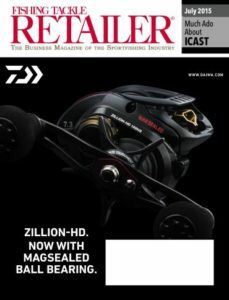 Fishing Tackle Retailer: "Kill Switches Go Wireless, with FELL Marine’s MOB+"
The MOB+ was featured in Fishing Tackle Retailer (FTR) September/October 16 issue. 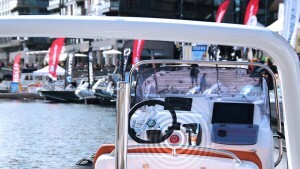 Quote FTR: “Kill Switches Go Wireless, with FELL Marine’s MOB+” Thank you for a great feture. Read the whole piece here Visit www.fishingtackleretailer.com for more exciting news! FELL Marine is launching in Australia and the first ones available to get you this product is the Maritime Safety Store. FELL Marine taps Exalto as distributor in the Netherlands and Belgium. We look forward to our continued collaboration. The Norwegian boat show “Boats at sea” is over for this year and FELL Marine would like to thank everyone for making such a great show. 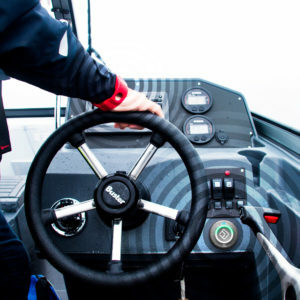 We are excited to announce Scanmarine DK as our distributor in Denmark. We are proud to announce that Fugawi is now representing FELL Marine in Canada. Every year there are many accidents in boating with tragic outcomes. Now one company aim to make a difference. FELL Marine is in the business of saving lives. WiMEA Wireless Kill Switch received yesterday Award for Design Excellence in Doga Norwegian. 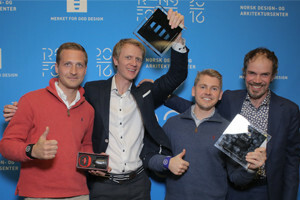 WiMEA Wireless Kill Switch received yesterday Award for Design Excellence in Doga Norwegian Design and Architecture! Thank you for a very nice recognition and for a great partnership with Eker Design. This inspires us to further development of both the product and focus on design.